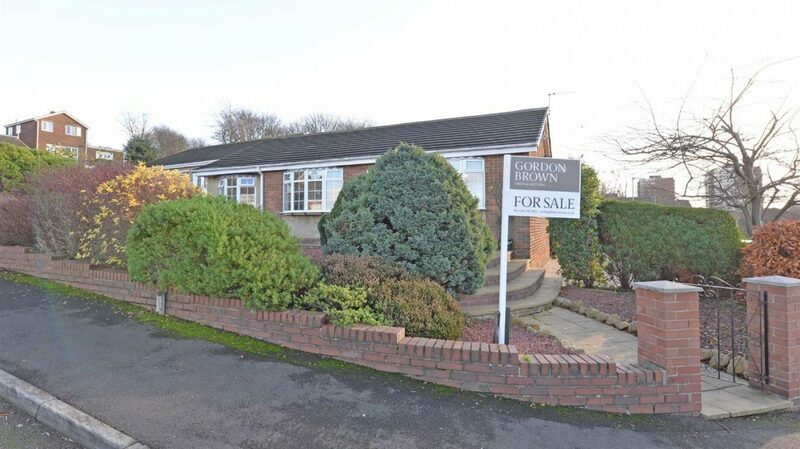 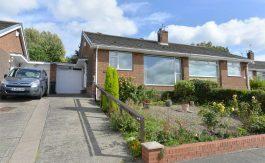 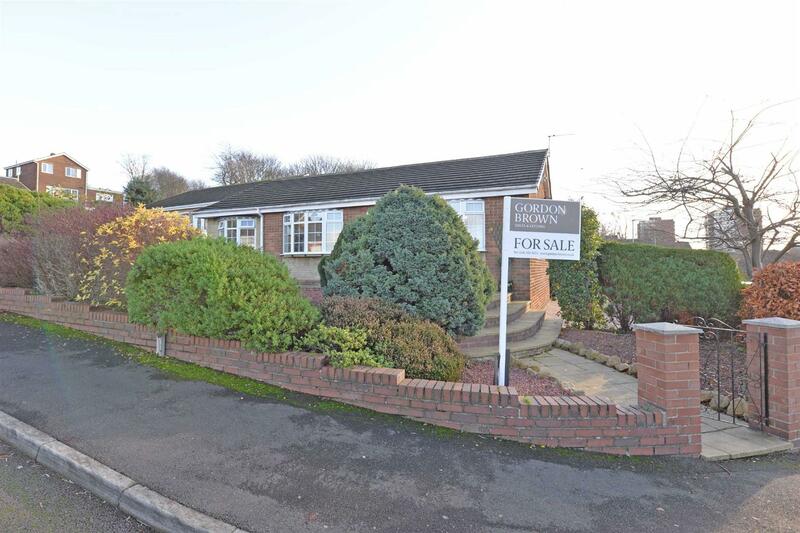 Absolutely superb detached bungalow situated on St Ronans View within this sought after location. 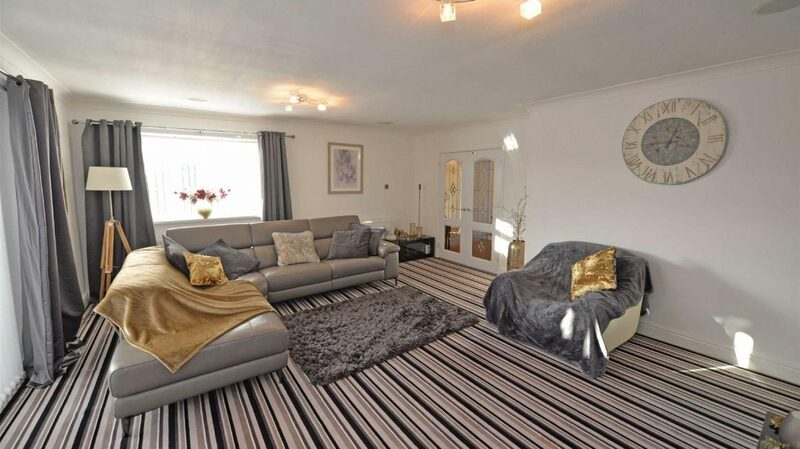 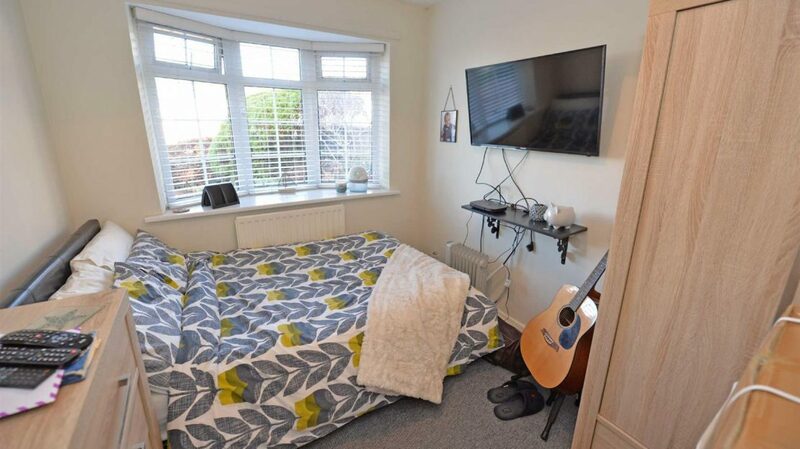 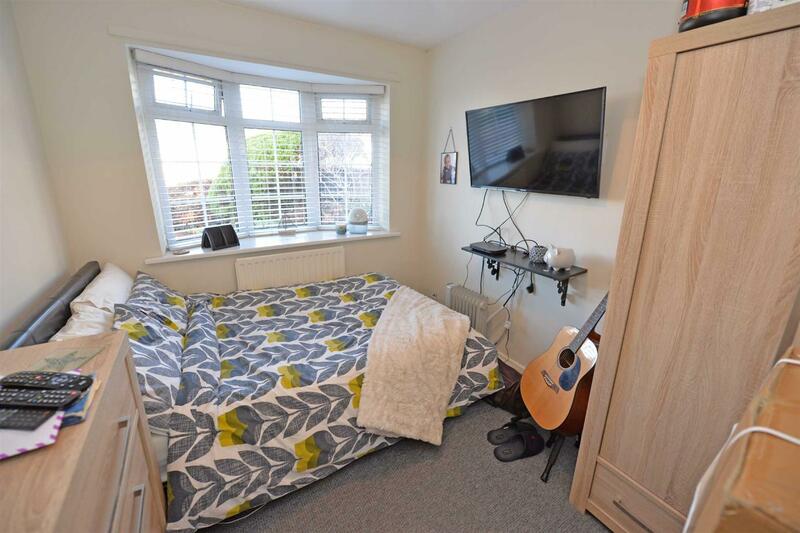 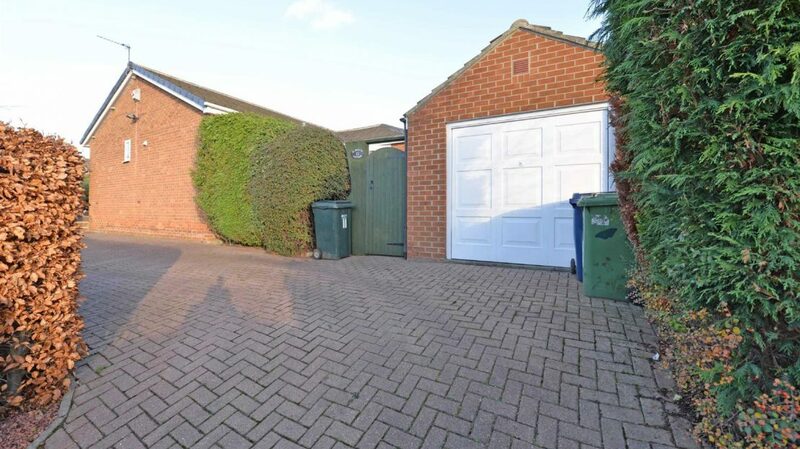 The property is warmed via gas central and has the benefit of uPVC double glazing and a security alarm system. 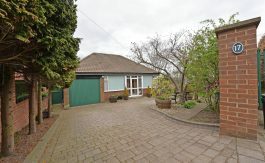 The spacious accommodation comprises: entrance hallway with french doors opening into the living room which has a feature tv wall with an living flame fire and patio doors opening into the conservatory, breakfasting kitchen with an integrated fridge/freezer and dishwasher, master bedroom with fitted wardrobes and an en-suite shower room, two further double bedrooms and a wet room. 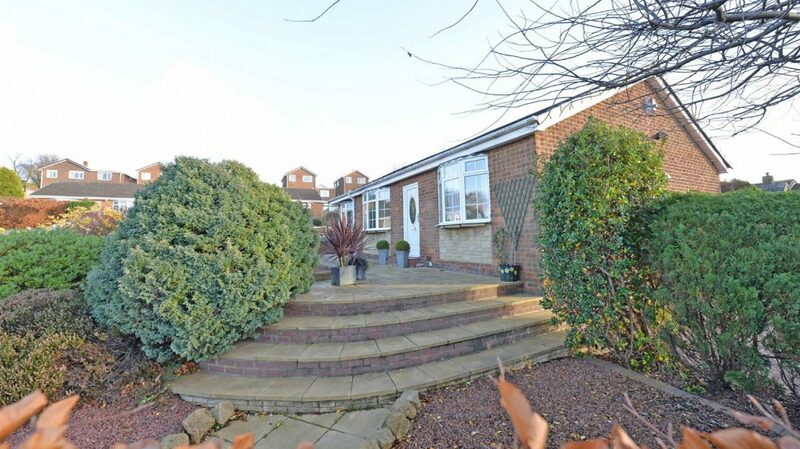 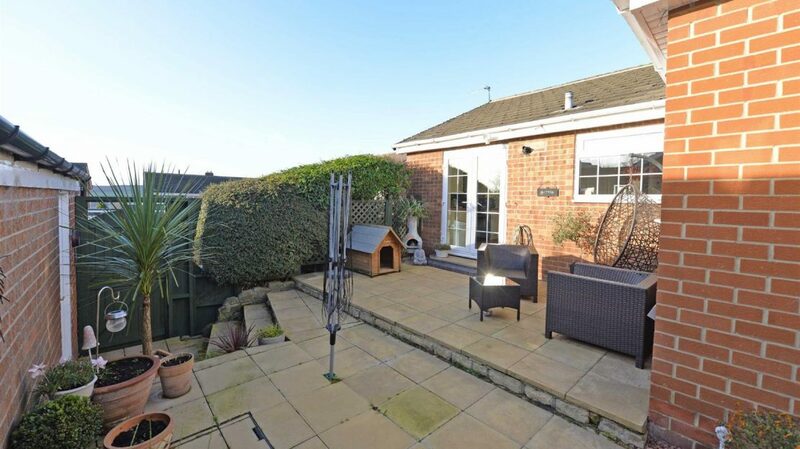 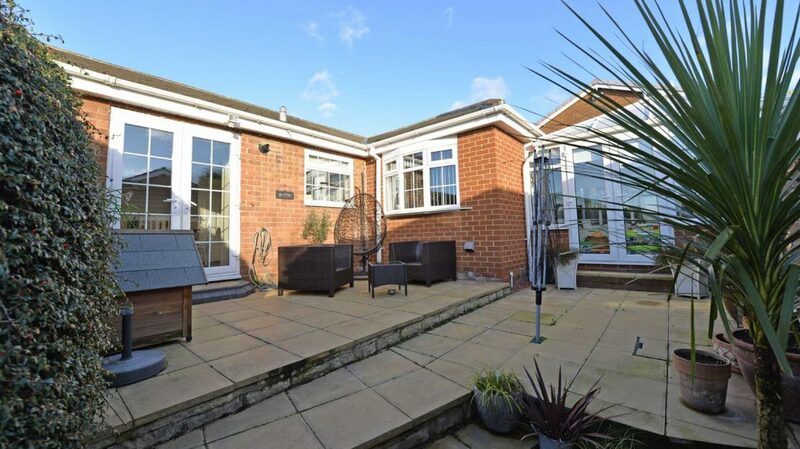 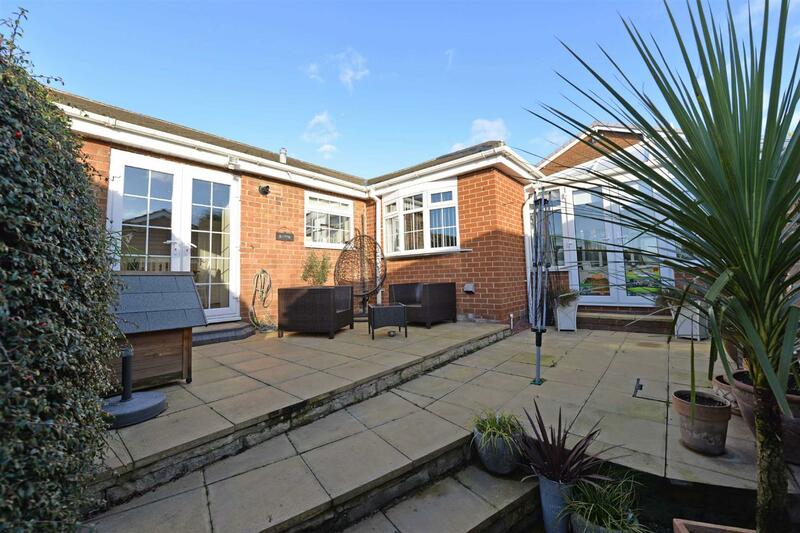 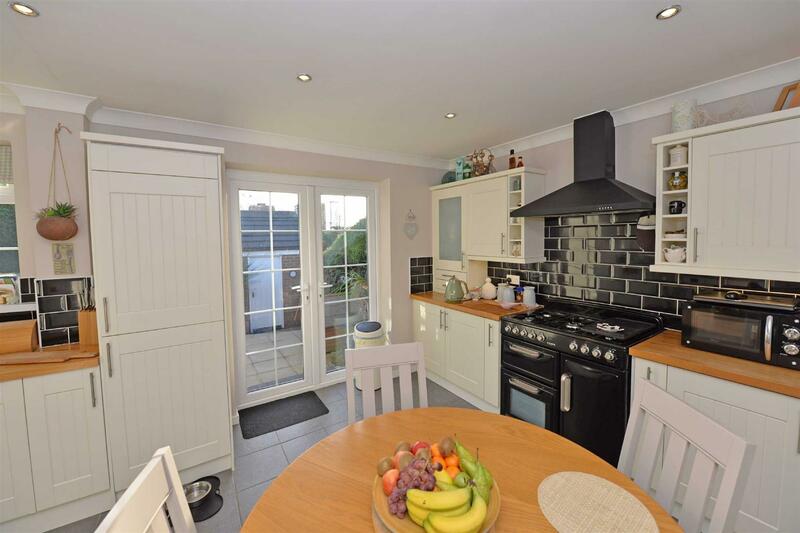 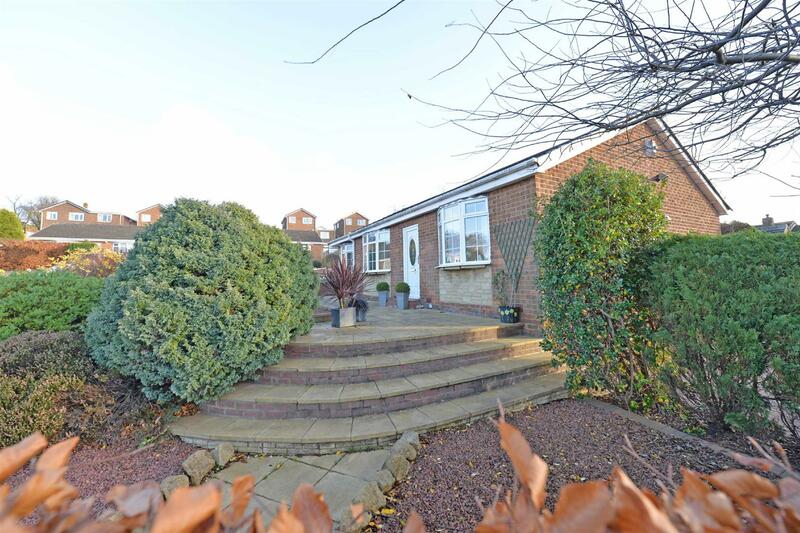 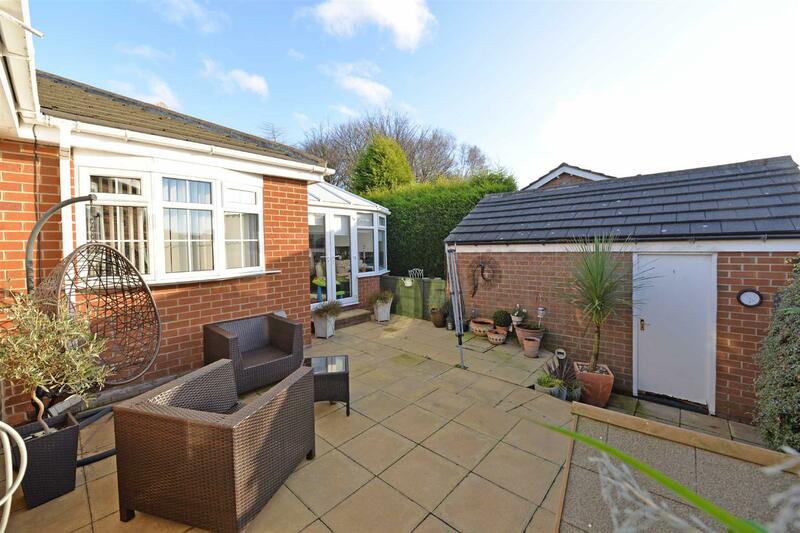 The bungalow is surrounded by low maintenance gardens, a driveway for up to three cars and an oversized single garage. 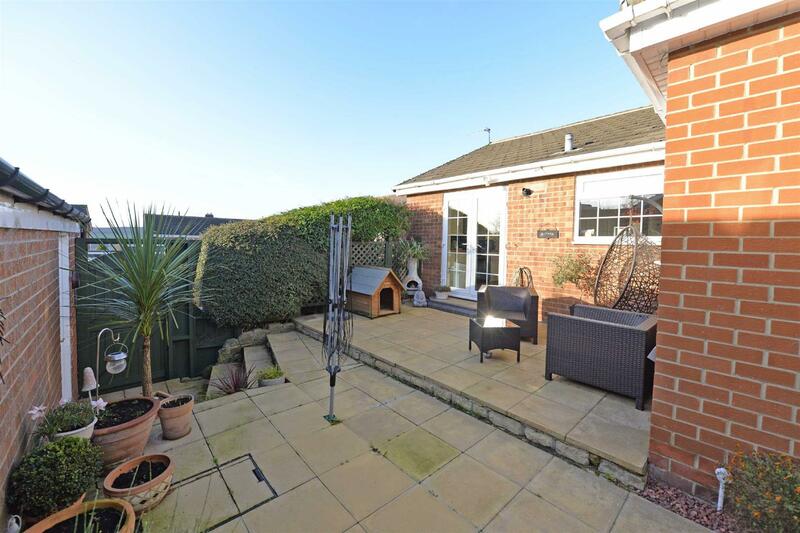 Viewings are highly recommended to appreciate this gorgeous home. 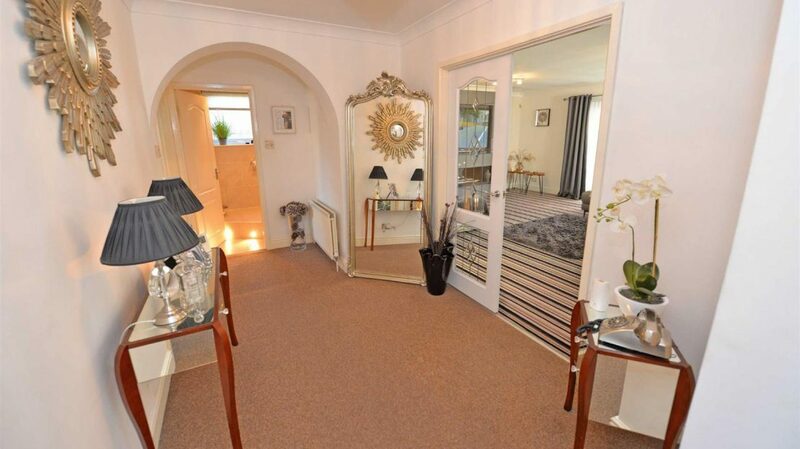 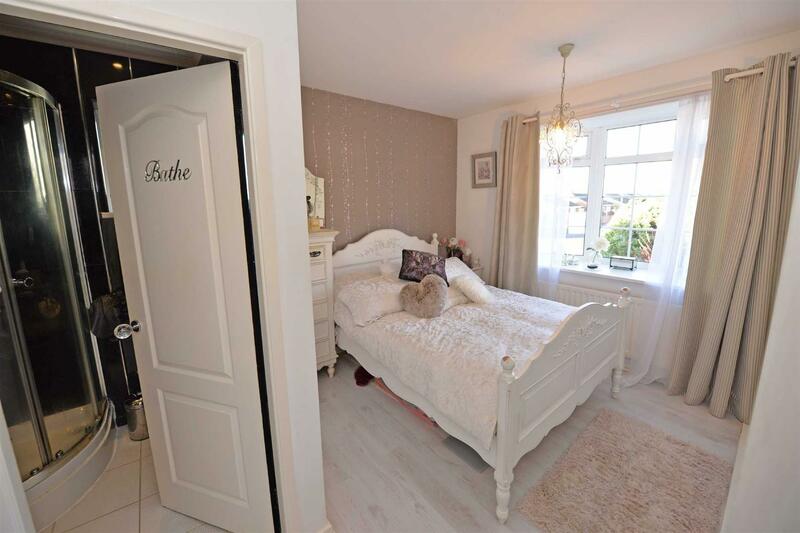 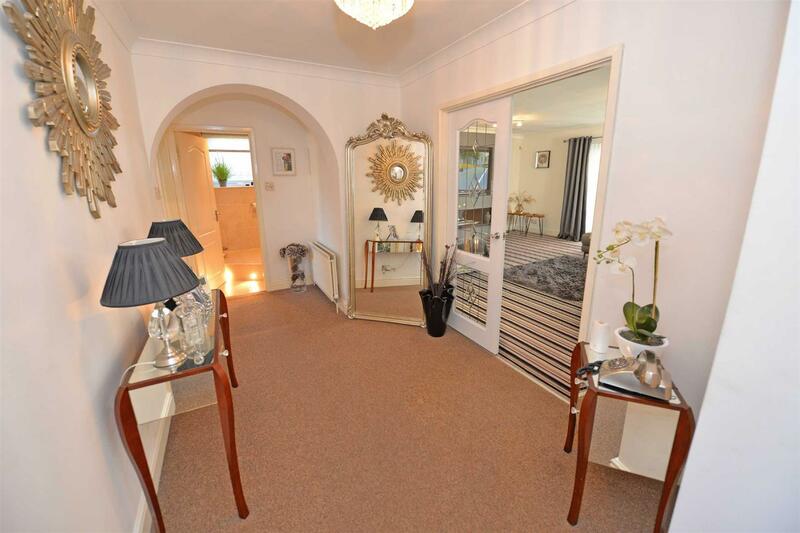 Entrance Hallway – 6.05m x 2.20m – A uPVC front entrance door provides access into the hallway which has laminate flooring, two central heating radiators and French doors opening into the living room. 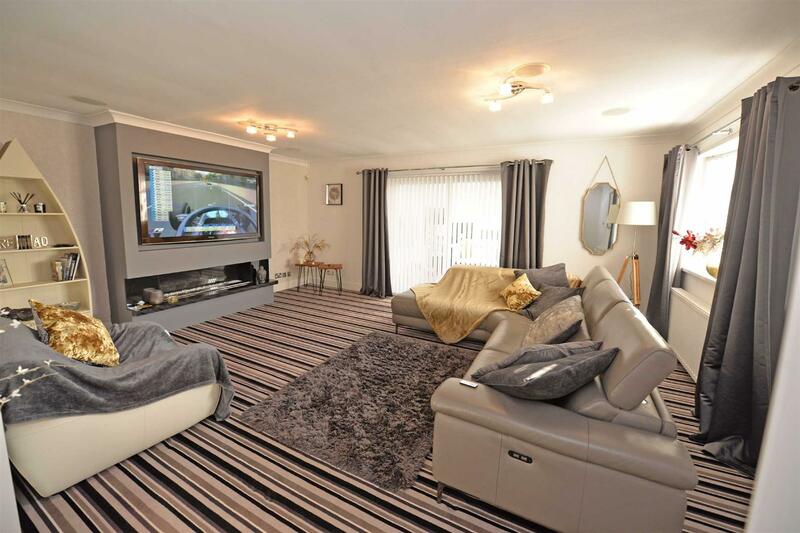 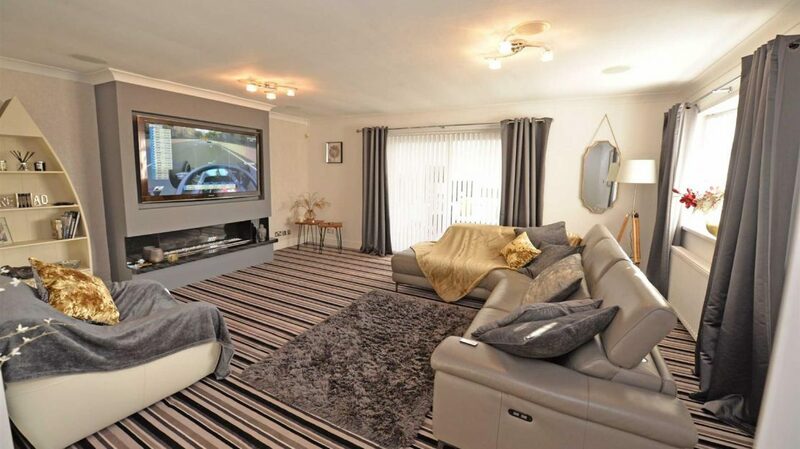 Living Room – 5.76m x 5.07m – Entertainment wall to the chimney breast with a contemporary living flame effect fire, integral speakers to the ceiling, double radiator, bow window to the front and patio doors opening into the conservatory. 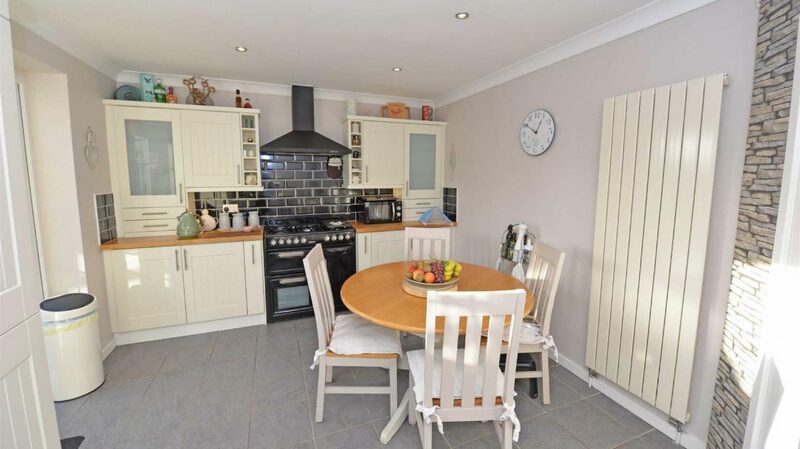 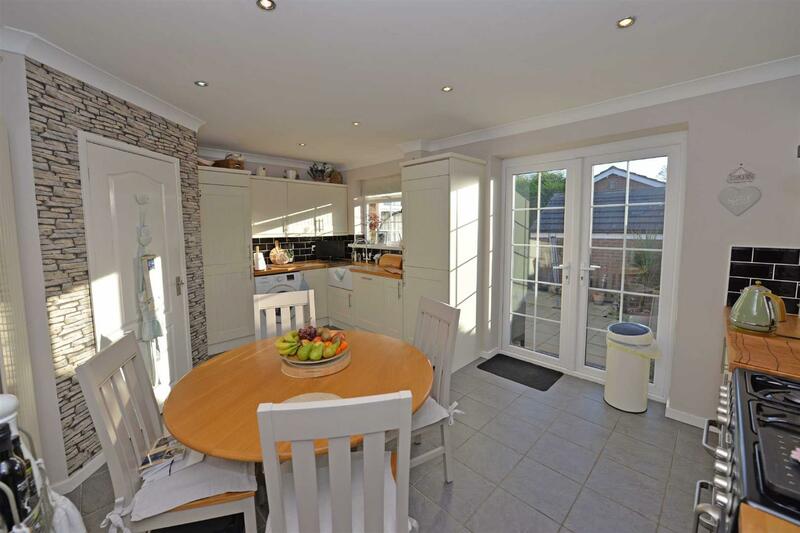 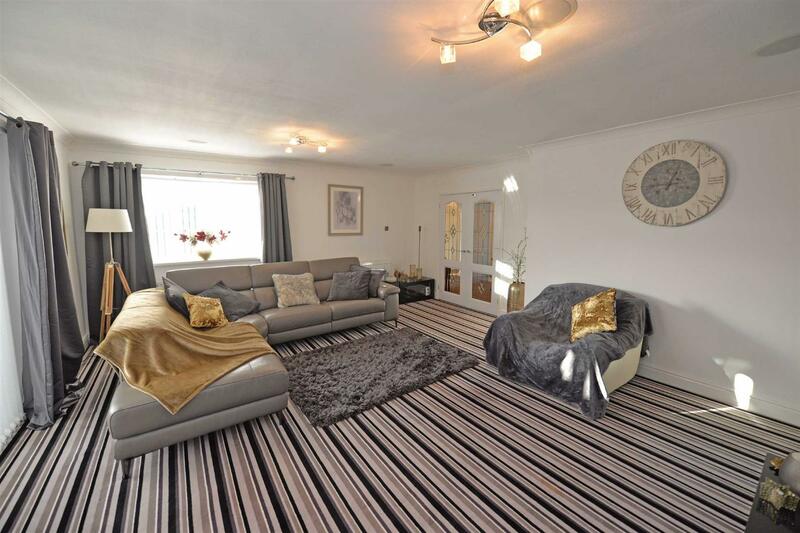 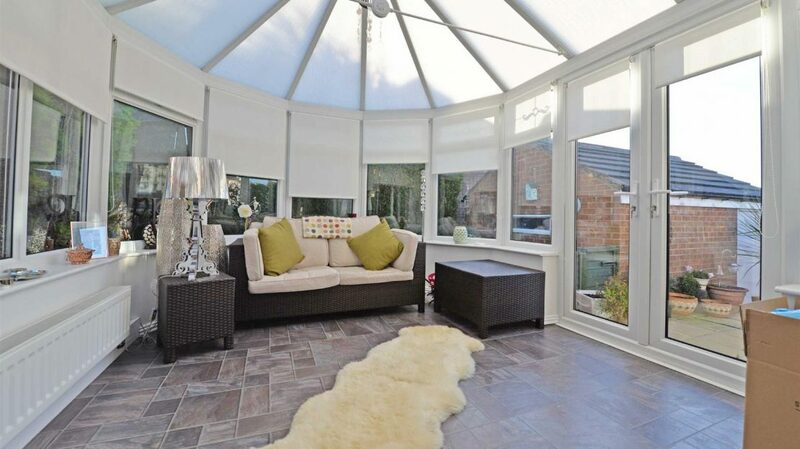 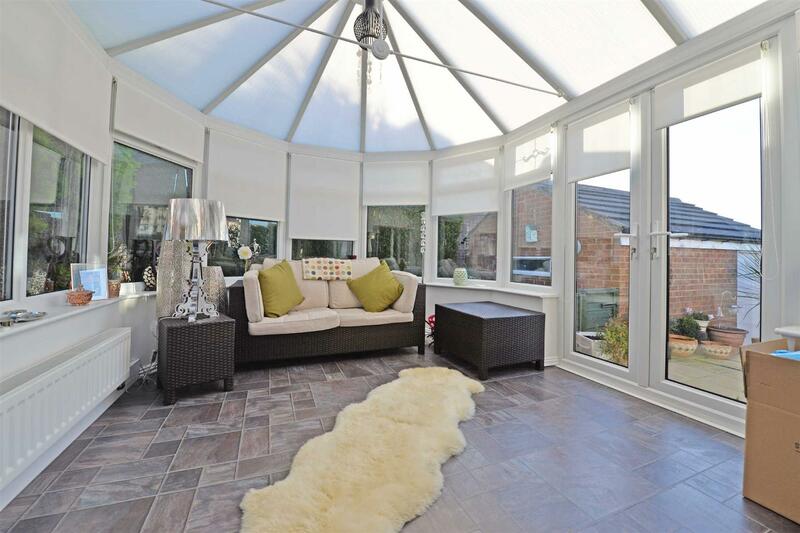 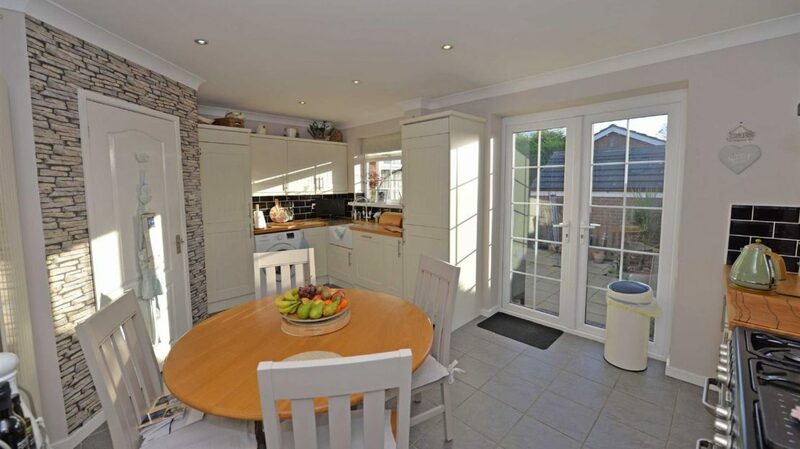 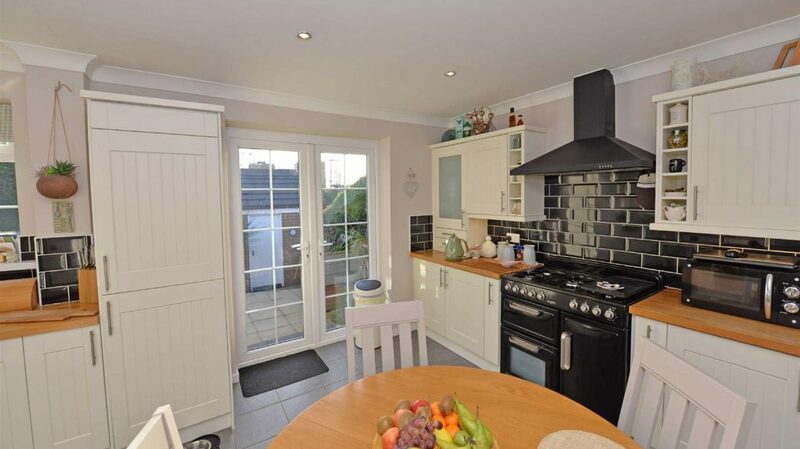 Conservatory – 4.06m x 3.23m – Tiled effect laminate flooring, radiator, french doors opening onto the rear garden. 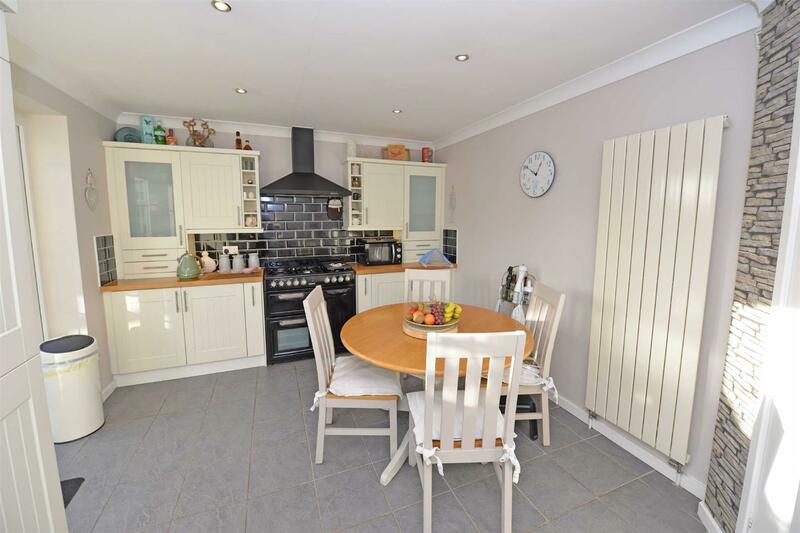 Breakfasting Kitchen – 5.23m x 3.55m – Base and eye level units with contrasting butchers block work surfaces, integrated fridge/freezer, ceramic sink, plumbed for an integrated dishwasher, concealed Baxi boiler, chimney style cooker hood, partial tiling to the walls, tiled floor, vertical radiators, window and French doors to the rear. 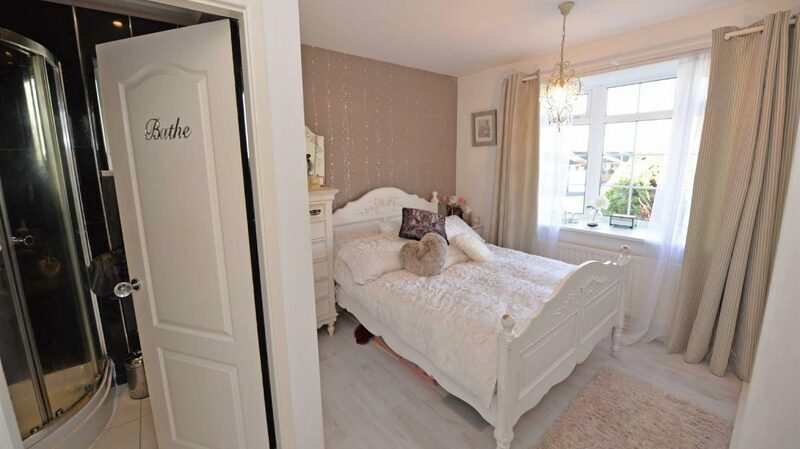 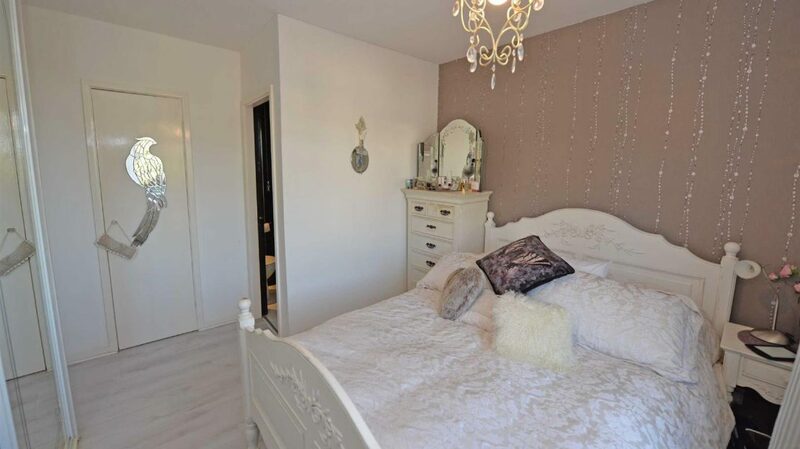 Master Bedroom – 3.47m x 2.76m – 2.76m is measured to the wardrobes. 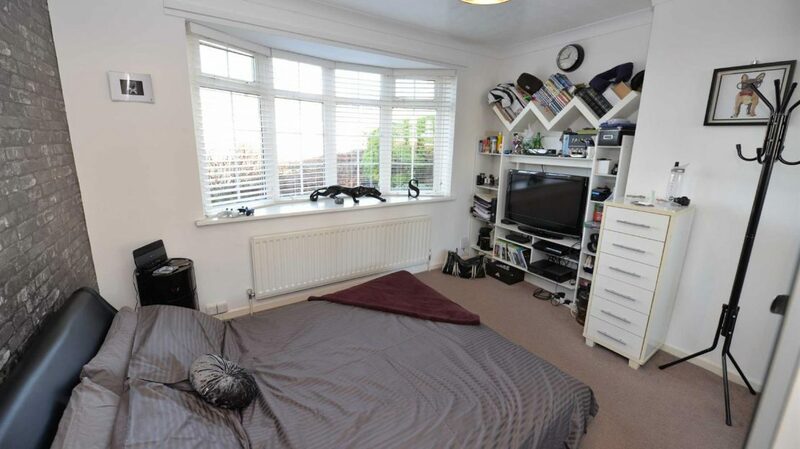 Fitted wardrobes to one wall, built in cupboard, single radiator, bow window to the front, en-suite. 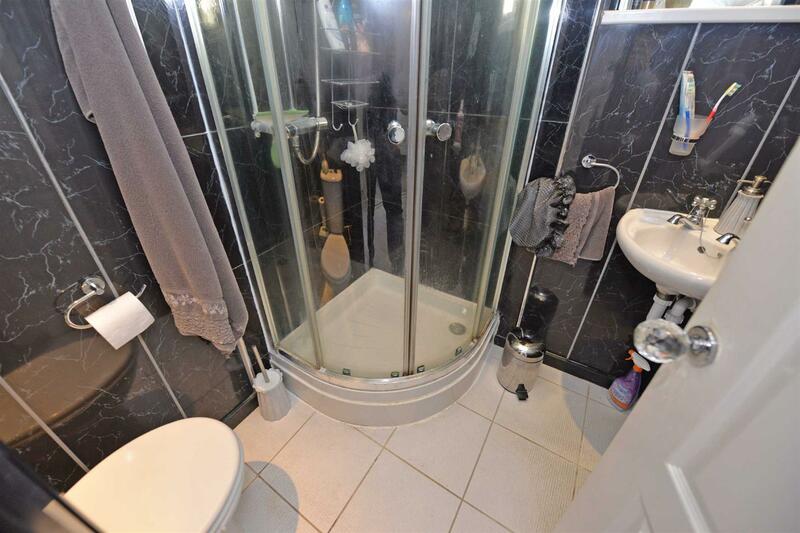 En-Suite – Corner shower cubicle, hand wash basin, low level w/c, PVC cladding to the walls, tiled floor, towel warmer, window to the side. 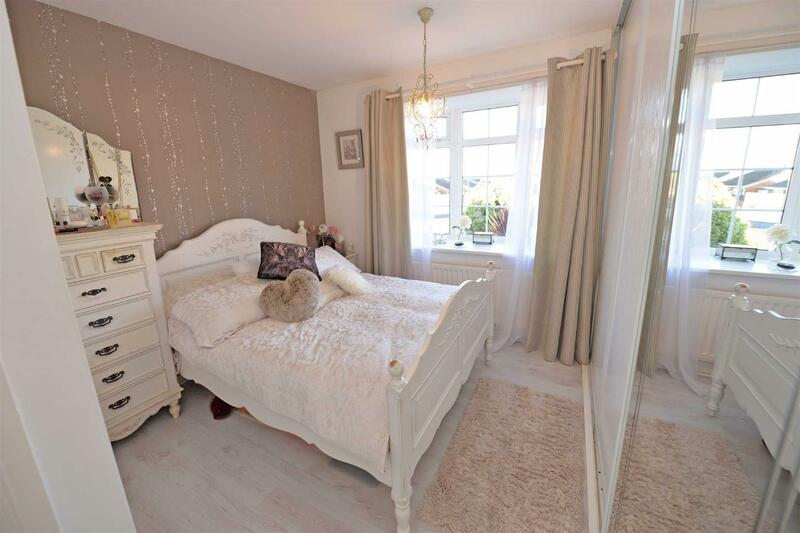 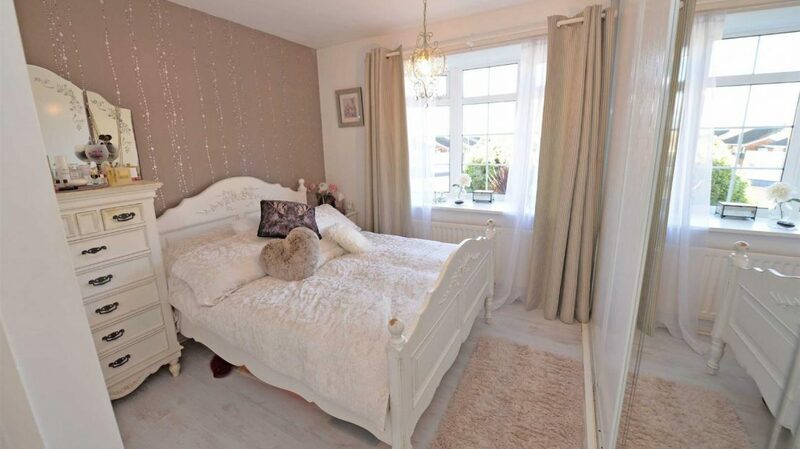 Bedroom Two – 3.63m x 3.23m – Coving to the ceiling, single radiator, bow window to the front. 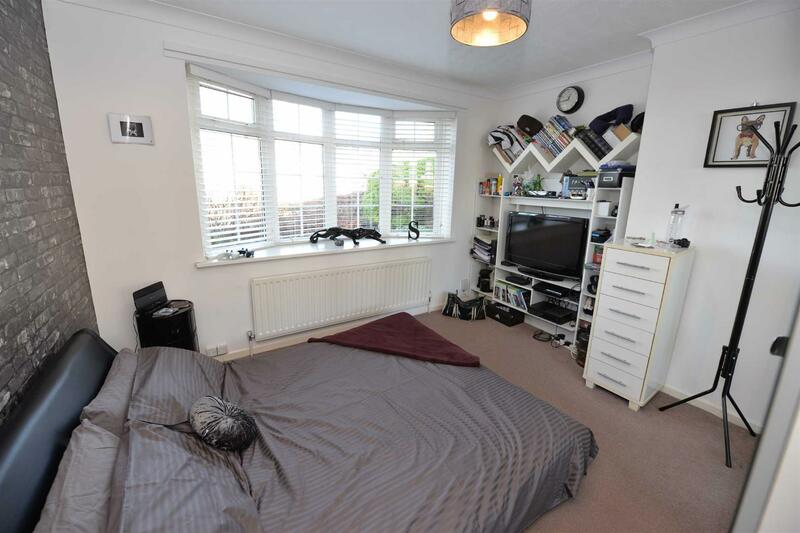 Bedroom Three – 3.06m x 2.56m – Single radiator, bow window to the front. 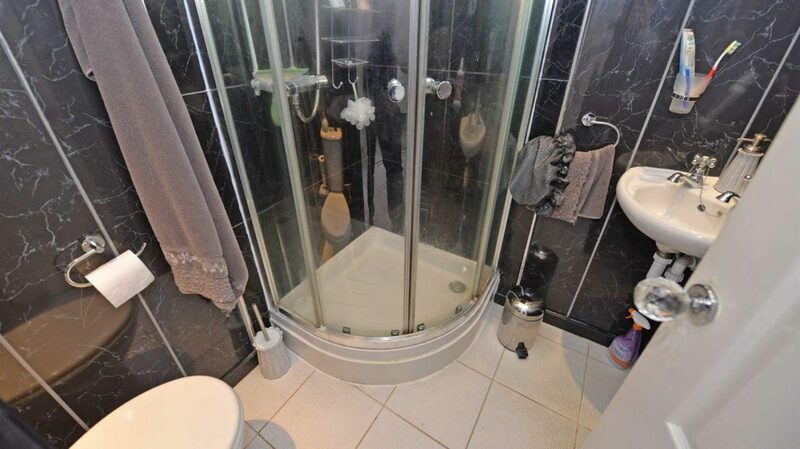 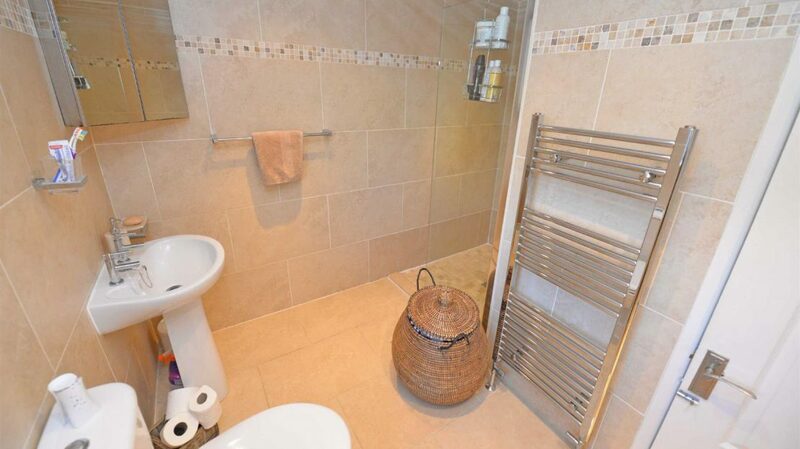 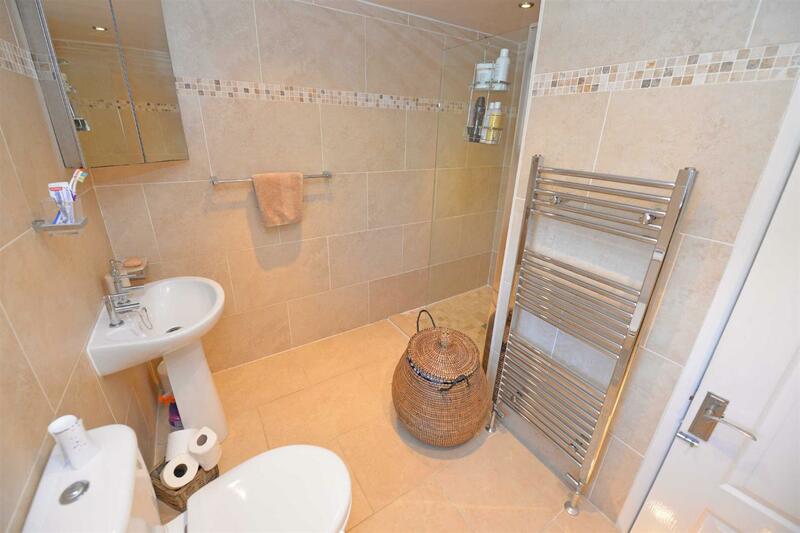 Wet Room – 2.75m x 2.64m – 2.75m is measured into the shower. 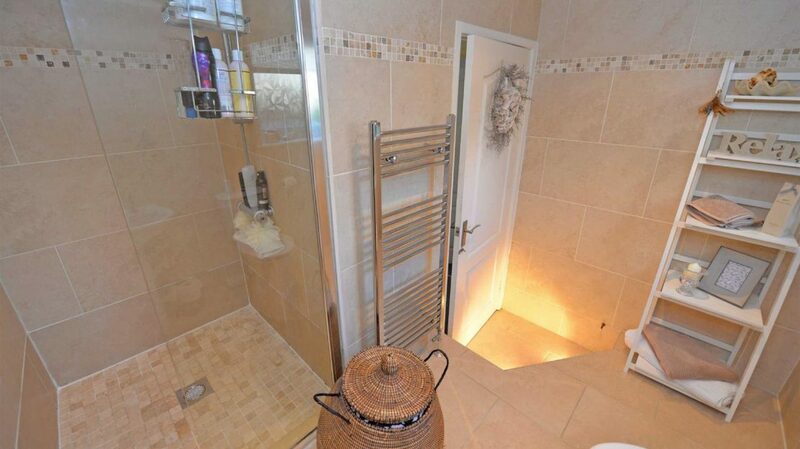 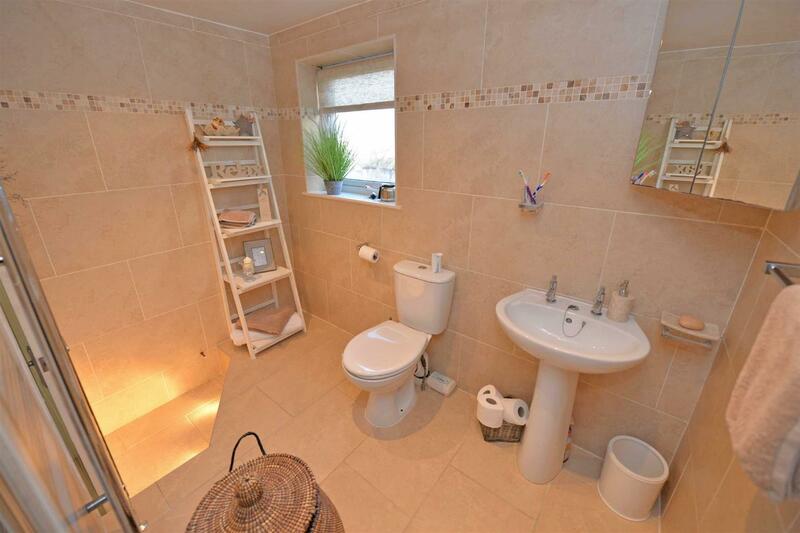 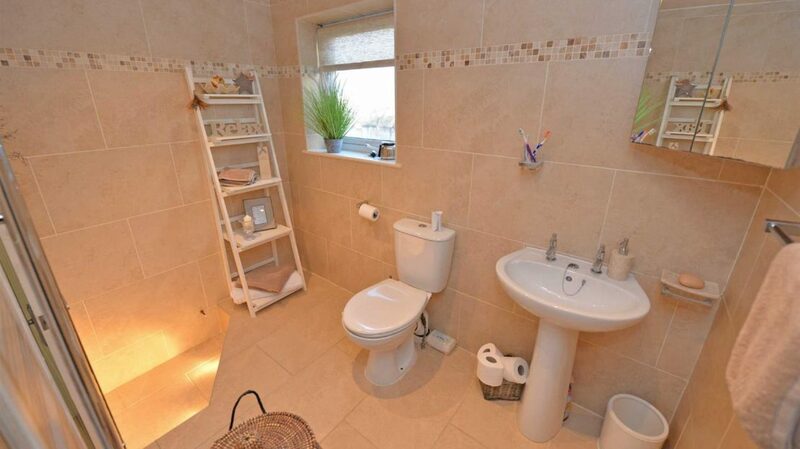 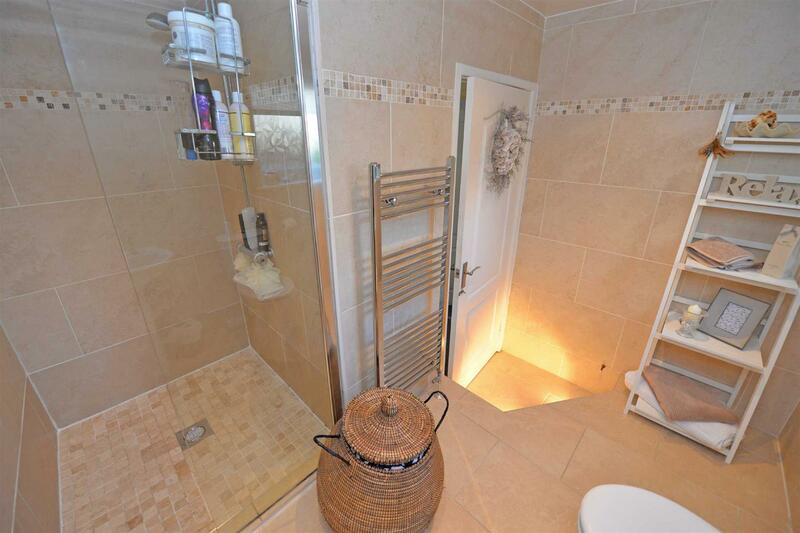 Double shower, low level w/c, pedestal wash basin, tiling to the walls and floor, towel warmer, window to the rear. 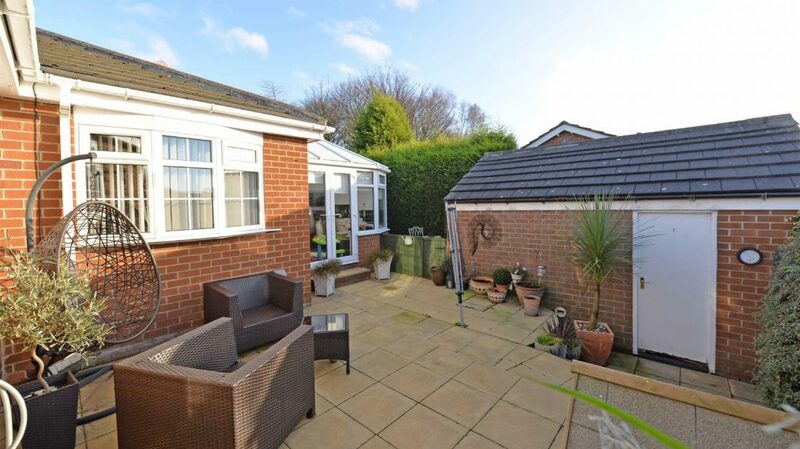 External – There are low maintenance gardens to the front side and rear with various patio areas and a garden shed. 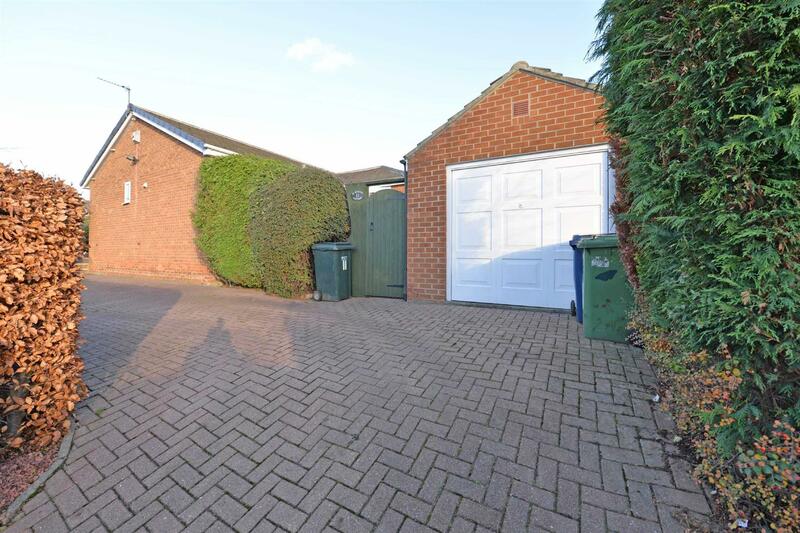 A driveway provides ample parking for up to three vehicles and there is an oversized single garage with an up and over door, power and lighting.